Only the first performance will appear on the calendar and in your basket. *Terms and Conditions apply: Valid on performances between 22 October to 30 November 2018. Save £15 per ticket on £95 and £69.50 or save £10 per ticket on £45 tickets. Strictly subject to availability. Described as “perhaps the most important American play of the century so far” (The Telegraph), Matthew Lopez’s major two-part drama, The Inheritance, transfers to the West End following its sold-out run at the Young Vic. This “crystalline production, pierces your emotional defences” (The Guardian), exploring profound themes through the turbulent and often hilarious experiences of a group of young, ambitious, gay New Yorkers. Directed by the multi-Olivier Award-winning Stephen Daldry, The Inheritance runs at the Noel Coward Theatre until 19th January 2019 and features a cameo from thespian Vanessa Redgrave in Part 2. The Inheritance plays across two parts, which can be seen either in one day or over two evenings. This “masterly production” (LondonTheate.co.uk) is poetic, naughty and unmissable. The majority of the original large ensemble Young Vic cast will transfer with the production, including: Hugo Bolton, Robert Boulter, Andrew Burnap, Hubert Burton, John Benjamin Hickey, Paul Hilton, Samuel H. Levine, Syrus Lowe, Michael Marcus, Vanessa Redgrave, Kyle Soller and Michael Walters. What is it like to be a young gay man in New York a generation after the peak of the AIDs epidemic? What does it mean to stand on the shoulders of those who have come before you? What is owed to the future and the people around you? How many words are there for pain and for love? Spanning generations and countless interlinking lives, The Inheritance brilliantly transposes E.M. Forster’s novel ‘Howards End’ to 21st century New York in an achingly tender critically-acclaimed two-part drama. 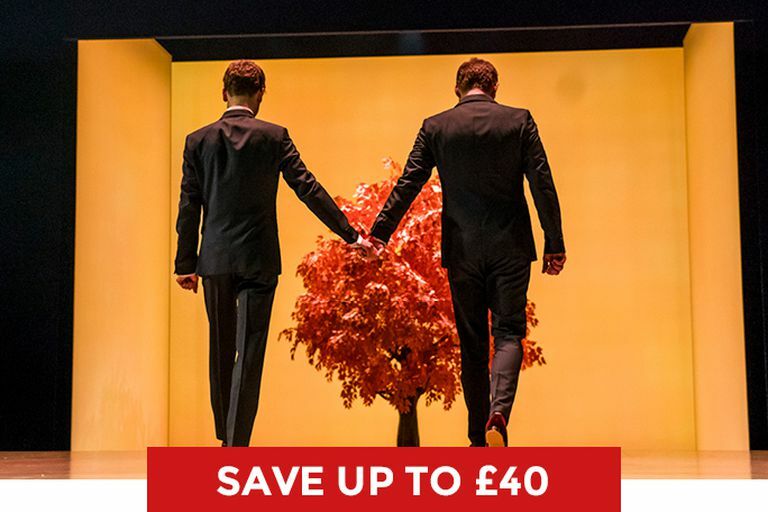 LOOKING FOR CHEAP THE INHERITANCE: PART 1 TICKETS AT THE NOEL COWARD THEATRE? With our huge range of cheap tickets for plays on in London, a visit to the West End has never been better value. Book with us for The Inheritance: Part 1 and enjoy a great play at a price that won’t bring down the curtain on your budget. The Inheritance: Part 1 & 2 (Combined) is not available to book, please sign up to our newsletter for updates and offers on forthcoming and available shows.